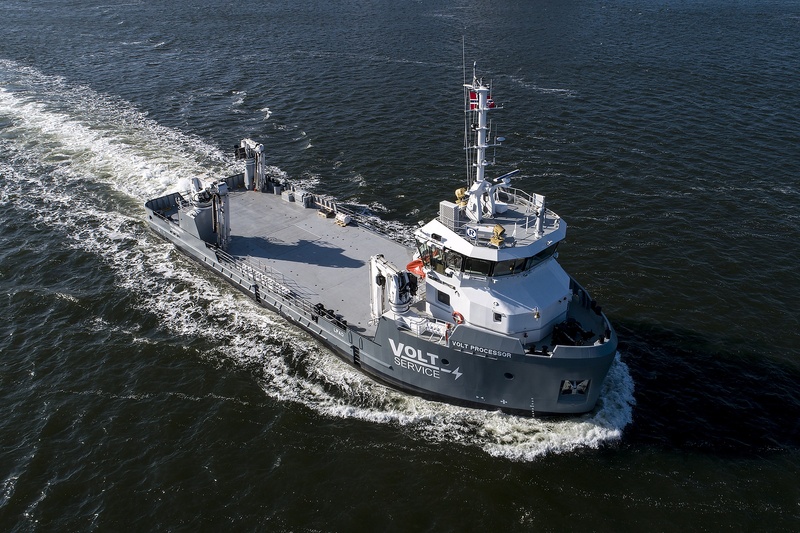 In 2016 Damen Shipyards Group signed a contract with VOLT Service AS in Norway for the construction of a Utility Vessel: the Volt Processor UV-4312. The vessel was delivered in May of 2018 and is fitted with the latest chemical-free delousing installation and offers the ability to service more farms across larger areas and in more open waters. During the construction of the vessel build of the ship, the VOLT Processor is equipped with Pronomar’s COMBO drying system. In addition to the work that the vessel will execute at the fish farms, the vessel can also be fitted out for light inspection, repair and maintenance for the offshore energy sector, buoy-laying and dive support. This makes the VOLT Processor a versatile ship. The VOLT Processor is specifically built for saltwater fish farms, and is completely designed with feedback from the global fish farming industry. Pronomar trusts that the Remøy Management AS, who is managing the vessel, will be happy to have the drying system on-board. For the VOLT Processor, a COMBO drying system has been chosen, which offers a compact solution for drying jackets, boots and gloves. Due to the COMBO dryer, the crew can dry their work clothes faster and start their service warm and comfortable. It is an ideal system for vessels with a limited amount of space on-board. Would you like to know what Pronomar’s drying systems can offer you and your staff? Visit the website www.pronomar.com and don’t hesitate to contact Pronomar for more information.